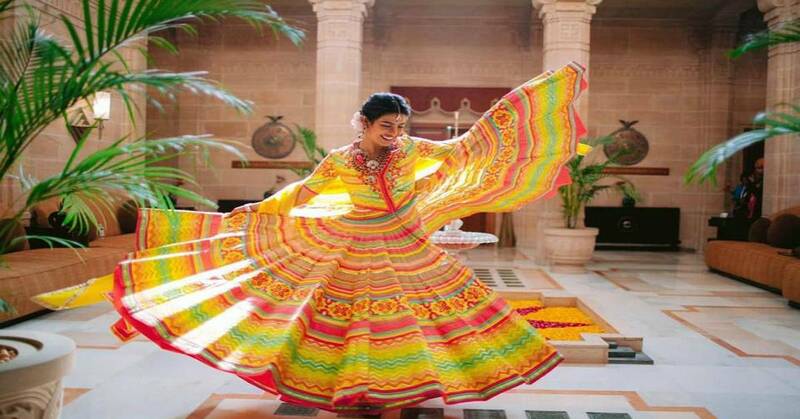 NickYanka Wedding: New Bride Priyanka Chopra Stuns In Her Vibrant Outfit At Her Mehendi Ceremony! Priyanka Chopra has released the pictures from her mehendi ceremony and they are love personified. Both the bride and groom looked stunning in the ceremony. PC wore a vibrant lehenga by Abu Jani Sandeep Khosla. Her outfit is totally giving us a bright and positive vibes with its multicolored layers. Priyanka is the perfect happy bride bride as she twirls in her lehenga. Her hair was looking lovely in a bun with roses studded on it and her jewelry was from Saboo for AJSK. Nick was looking handsome in a Abu Jani Sandeep Khosla light grey kurta pyjama. The bride and groom has quite managed to impress us with their sartorial choices. We wish couple a happy marital life.